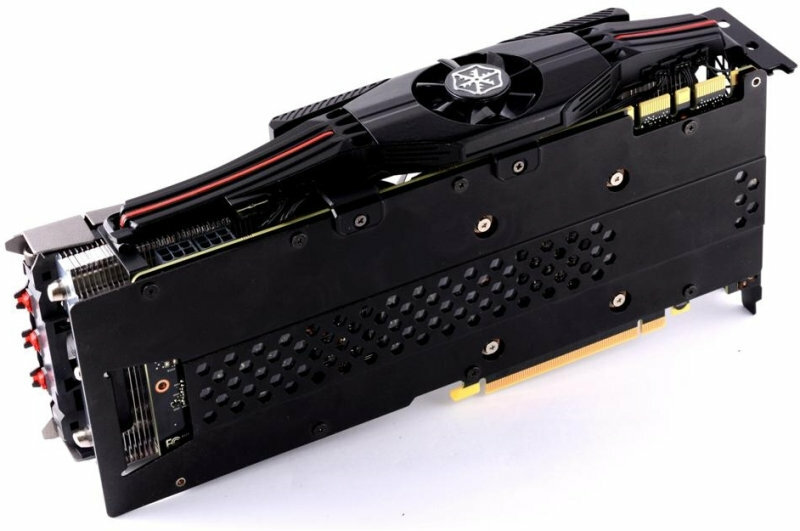 The GeForce GTX 980 and GTX 970 is just a few hours from now and recently we see yet another GeForce GTX 980 featuring a custom cooler, this time it’s from Inno3D. Guys, behold the Inno3D iChill GeForce GTX 980 HerculeZ X4 AirBoss! Quite a long name for a graphics card huh? Actually the HerculeZ X4 is the name of the graphics card’s custom cooler, like Asus’ DirectCU II or MSI’s TwinFrozr V. Inno3D’s latest HerculeZ X4 features AirBoss cooling technology, where the cooler itself has, not 2, not 3 but 4 cooling fans built on it. 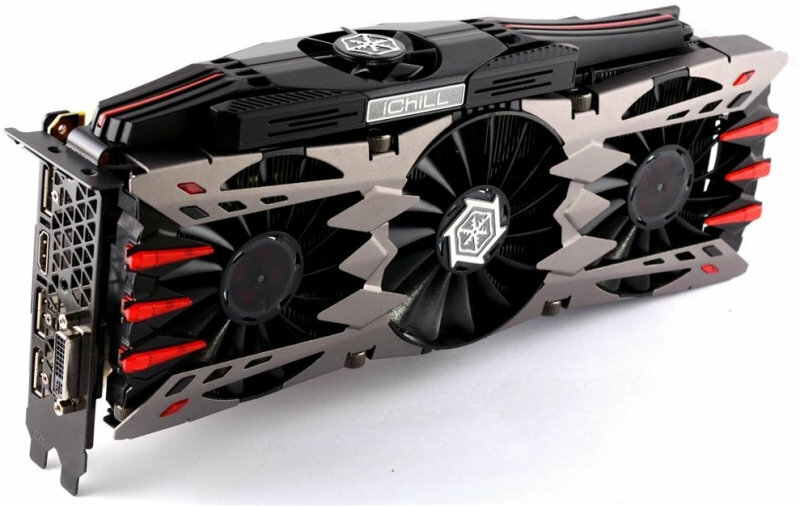 Just check out the iChill GeForce GTX 980 below. “The GeForce® GTX™ 980 is the world’s most advanced graphics card, powered by the new incredibly fast, power-efficient NVIDIA® Maxwell™ architecture. With twice the performance of prior-generation cards* and exciting new gaming technologies, this innovative GPU provides an elite experience on virtual reality, HD, and ultra-resolution 4K displays. Enjoy hyper-realistic real-time lighting with advanced NVIDIA Cone-Traced Global Illumination, as well as NVIDIA G-SYNC™ display technology for smooth, tear-free gaming. Plus, you get Super Resolution technology that delivers a 4K experience on a 1080p display. Inno3D’s latest iChill GeForce GTX 980 HerculeZ X4 is built with lots of features and gaming performance. It comes with factory overclock settings and you can still overclock it with the help of Inno3D’s propriety software for tuning or tweaking the graphics card. But I guess the main highlight of this product is its HerculeZ X4 cooler featuring AirBoss fan technology. The new cooler features what the company calls A.P.C.S. or Active Power Cooling System. It features 8mm high heat flux heatpipe; two way heat spreader with 50mm silent fan, an embedded graphics card holder, 12mm metal casing, full PCB shielding and protection called HerculeZ Backplate II, 118pcs of aluminum fins, detachable turbine fan, detachable frame and cover, and LED lighting effects. That’s really a lot of stuff in a GPU cooler; normally it’s just the fans, the metal shroud and aluminum fins and the backplate. Anyway check out the rest of the specification of the iChill GTX 980 below. There’s no word yet regarding the manufacturer’s suggested retail price for the Inno3D iChill GeForce GTX 980 HerculeZ X4. 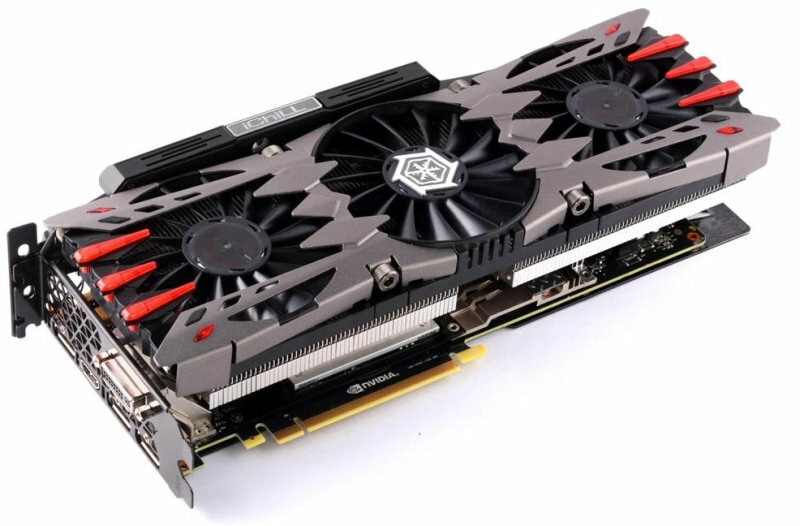 But according to reports, the reference GeForce GTX 980 is said to retail for around $549 USD. If the $549 is correct, expect that the iChill GeForce GTX 980 will be priced higher than that. My guess is it would be around $599, hopefully the price will not go beyond $600 USD for custom GTX 980s.